Made in Finland, the Lunette Cup has a lot to recommend it. 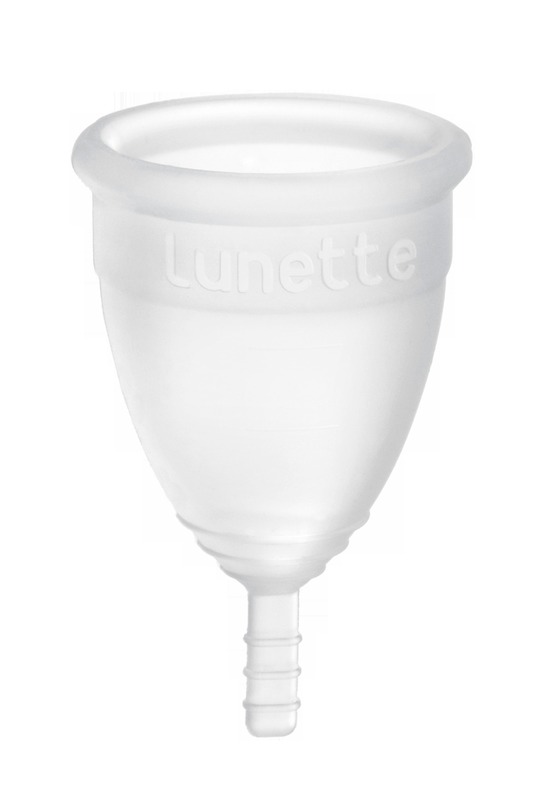 Like other popular menstrual cups, the Lunette Cup is made of medical-grade silicone. It comes in a variety of attractive colors that will make you smile when it comes time to use it (unlike pads and tampons!). The cup itself is the familiar bell-shape and has one ridge near the top of the cup and several ridges on the bottom that continue onto the stem. This should help to ease removal. The stem itself is flat which should make it easier to clean. The Lunette company is dedicated to the highest standards of quality. Although menstrual cups are not regulated in Finland, they have pursued (and obtained) FDA approval in the US and TGA approval in Australia. In an independent customer satisfaction survey, Lunette scored the highest of all the menstrual cups tested. 95% of customers were satisfied and 97% would recommend the cup to family and friends. They take quality and customer satisfaction seriously and hold themselves to the highest standard. They offer a few menstrual cup accessories including menstrual cup wipes (very handy for those times you need to change the cup in a public restroom), liquid cup cleanser, and PMS-battling body lotion. Check out their website for more details.